Today is Martin Luther King Jr. Day. 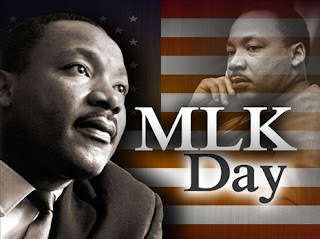 While in India, I have heard of this great leader, but since we have always had enough and more holidays and leaders to discuss and learn about, we probably never got to learn about this wonderful leader and civil rights activist. The reason why he was also quoted in India was the influence of Mahatma Gandhi on his approach to civil rights. Sadly, like Mahatma Gandhi, he was also assassinated. Even though there are many controversial reports (FBI) he has been an influential figure among the Black community in this country. Even though, I have never felt that personal connection to the history of this land, every history narrates the struggle and reflects the roots of the society. And I connect to that and am inspired by that. So, does this one. So, here is a couple of my most favorite quotes by MLK. This is very deep and I relate to this. You can see the influence of Ahimsa here.